For hundreds of years people have thought that items drop at speeds that match with their weight. For instance, a one ton rock would fall faster than a pebble due to gravity, which was discovered by Isaac Newton. Well, a man named Galileo Galilei did many experiments with this theory before Isaac Newton even come into the scene. 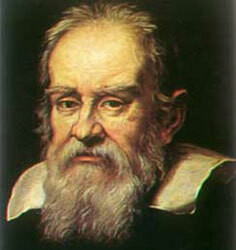 Galileo Galilei discovered that all objects fall at the same speed. Get your partner in position, he or she should be watching the ground right below your hands. Take the book and the piece of paper in hand; make sure they are both at the same height. Drop the book and the paper at the same time. Have your partner tell you which one landed first. Now, pick up the book and the pencil. Hold them at the same height. Drop the book and the pencil at the same time. Have your partner tell you if the items landed at the same time. Take the book and the piece of paper. Crumple up the piece of paper and hold it at the same height as the book. Drop the book and the crumpled piece of paper at the same time. Have your partner tell you if they landed at the same time. When you dropped the book and the flat piece of paper the book landed first because it had little air resistance due to its weight. On the other hand, with the piece of paper, because it is so spread out, lots of surface area, and very light the air held it up longer, like a parachute. For example, a human skydiving (all spread out) would fall slower then a crashing plane. When you dropped the crumpled piece of paper there was lest air resistance and the paper was able to fall at the same time as the book. The only time something will not fall as fast as something else is because of air resistance, not gravity. However, when you dropped the book and the pencil you observed that they landed at the same time. This brings us to the came conclusion that Galilei had; objects fall at the same speed no matter what the weight.